Status quo. 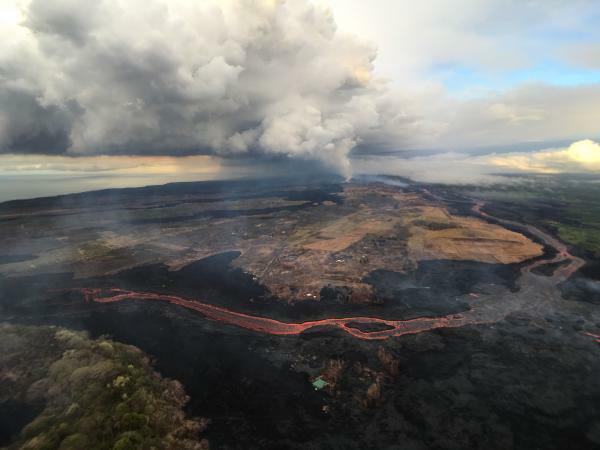 Fissure 8’s lava river continues inexorably to the Ahalanui Beach area. 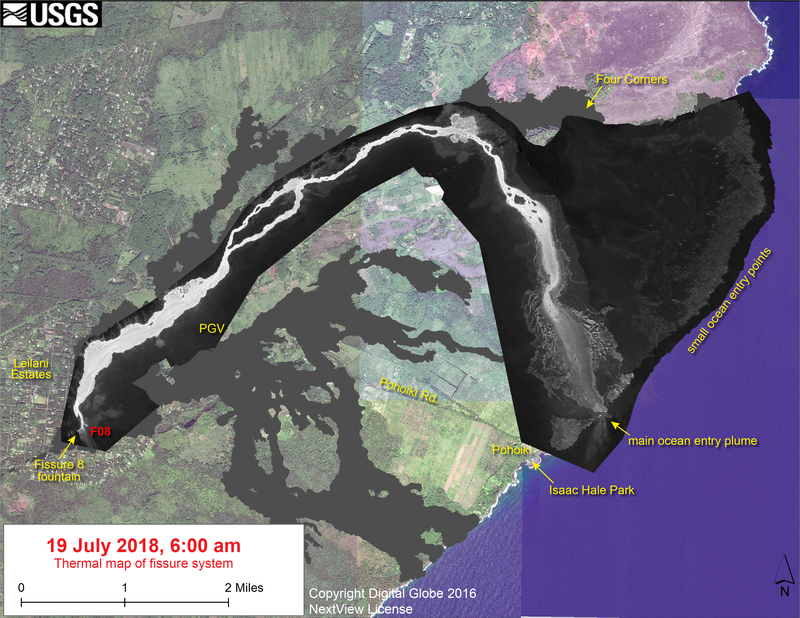 At the coast, the flow has nearly stalled in its southern expansion, but according to Civil Defense has crept within ¼ mile of Pohoiki boat ramp. July 21, 2018. USGS: “This aerial view, looking to the southwest, shows the most vigorous ocean entry of the fissure 8 flow, which is located a few hundred meters (yards) northeast of the southern flow margin.” (Full-sized)North of the main ocean entry, a few small pahoehoe lobes are still dribbling into the sea along the rest of the delta. Here’s the Northeast Caldera Rim livestream capture (collapse only, not foreshocks). USGS tweeted that “the output has increased somewhat at fissure 8” after today’s collapse. Our Daily 5.3 😂Notice the chimes in the background. 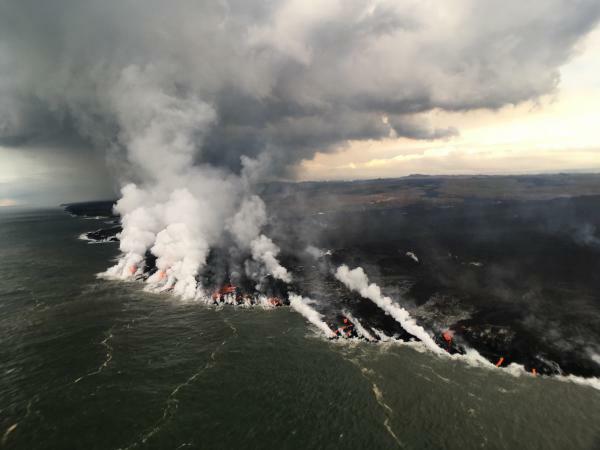 No new LERZ maps today, since the lava’s basically holding position. Here’s the most recent thermal map from July 19 again, since my post had a broken link yesterday.